Please note: This is the electronic version of the book. A download link will be emailed to you upon purchase. If you wish to pre-order the hard copy of the book, please click here. This book is a journey into the fascinating connection between your overall health, chronic disease states and your dental health. Dr. Nicholas Meyer has discovered that you can’t just treat the symptoms of your dental issues; you have to follow the symptoms in order to find the real problem. 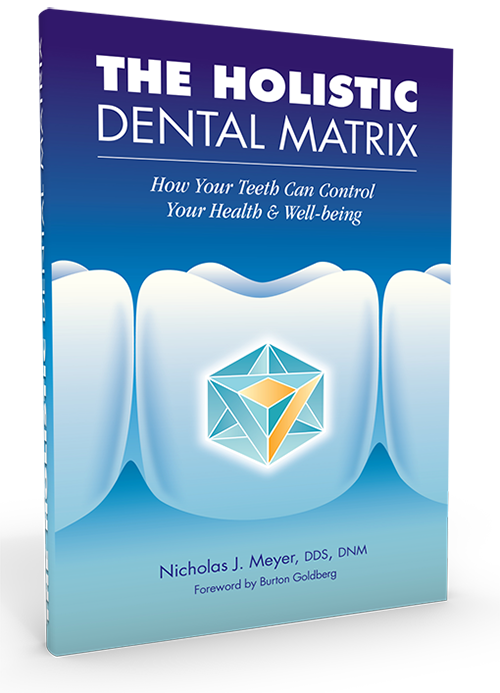 Learn how to take control of your health by making the connection between your teeth and your overall well-being by exploring The Holistic Dental Matrix. Every part of our body works together, and the various aspects of our health can’t be isolated. So when there’s a breakdown in one part of your body, it affects your other systems, tissues and organs. This means that your dental issues don’t just have an effect on your teeth and mouth; they can also cause health problems all over your body. The diseases we face today are nothing like we faced even a few decades ago, and our world has become more complex on all levels especially including illness and wellness. Learn how to take control of your health by making the connection between your teeth and your overall well-being by exploring The Holistic Dental Matrix™.